Breaking News... Haitian Senator Willot Joseph stands against the idea of President Jovenel Moise resigning from office. "the departure of president Jovenel will not fix anything because the departure of Aristide did not solve our problem," Senator Willot said. 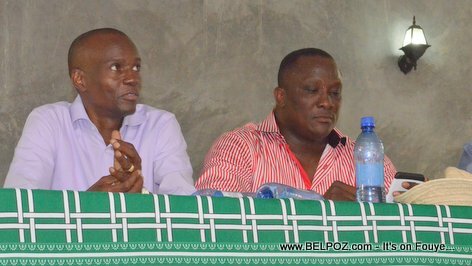 "I am against the idea of president Jovenel Moise leaving office," Senator Willot said, "I am for a national entente (agreement)." Not only did the departure of President Aristide not solve Haiti's problem, neither did the dechoukaj against former dictator Jean-Claude Duvalier back in 1986, Senator Willot said.